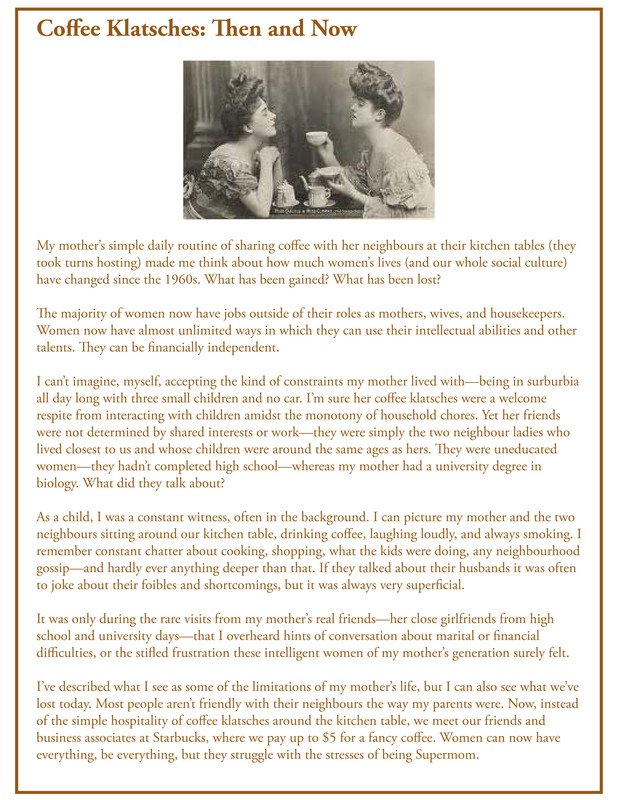 A couple of days ago I was reminiscing with a friend about what our mothers’ lives were like in the ‘60s, pre- Women’s Lib, when most mothers stayed at home all day with the kids. I mentioned that my mother had a coffee klatsch with two neighbours every day, just before lunch. “K-L-A-T-C-H…or wait, I have a feeling there might be an “S” in there, before the “C”. Kaffeeklatsch = Kaffee (coffee) + Klatsch (noise—as of conversation). I have the editor’s eye. If I’ve ever seen a word in print, I’ll “remember” (this is an unconscious process) how it’s spelled. If I’m unsure about the spelling of a word, it’s almost always because I’ve seen it spelled more than one way, and there is more than one correct spelling. Many people aren’t aware, for instance, of how many variations in spelling there are between American and Canadian English—it goes far beyond colour/color and cheque/check. How do you pronounce “gondola”? Unfortunately, the editor’s eye doesn’t help at all when it comes to pronouncing words that one has read but never heard spoken. Anyone who reads a lot has probably experienced the embarrassment of confidently saying a word aloud and being laughed at by a listener who knows the right pronunciation. 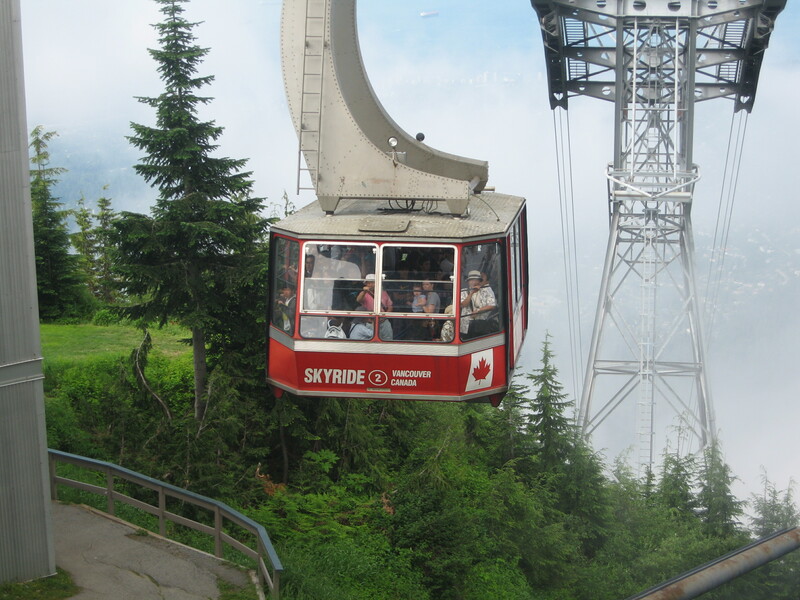 The Grouse Mountain Skytram–or gondola, if you dare to say it. This site made it clear that gondola has two correct pronunciations, based on the meaning of the word. So this was a happy case where we were both right! One could argue that it was wrong of me to say GON-do-la when talking about the Grouse Mountain Skytram, because the tram more closely resembles a freight car than a boat. Unfortunately, pronunciation is affected not only by dictionary definitions but also by local peculiarities of usage. Vancouverites, do you say GON-do-la or gon-DO-la when you’re talking about the Grouse Skytram?